The Emerging Global Leaders Jamaica is a Youth Leadership organization that is aimed at identifying and training persons who have the potential of becoming instigators of change through leadership, to become Global Leaders. In an attempt to instill Leadership in youth across Jamaica, the EGLJ saw it best fit to target students from schools across the island. 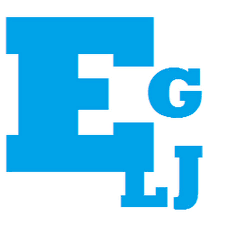 This brought to life the formation of an "EGLJ Club" in select schools across the island. Not only do we have EGLJ Clubs, but each year, with the sponsorship of the AJAA (Alliance of Jamaican Alumni Associations) in Toronto, we bring together students at our annual leadership conference. The Emerging Global Leaders of Jamaica (EGLJ) was formed out of the concept of the Emerging Global Leaders Program (EGLP),formerly of York University, which brought together students,including Jamaican students, to a Youth Leadership Conference. In July 2013, our sponsors, the AJAA (Alliance of Jamaica Alumni Association Toronto), held a reunion which brought together past Jamaican participants of the EGLP. At this reunion the idea of a Jamaican Youth Leadership Organization culminated, and thus resulted in the birth of the Emerging Global Leaders Jamaica (EGLJ).